Hey guys, I’m back with another travel blog!! I am gonna try to write a couple blogs throughout the week so I don’t have random (long) gaps in my blog. Lets hope I actually do it though. lagoon developed into a lake as the Vatnajokull glacier receded from the edge of the Atlantic Ocean. The lagoon starts on one side from the huge glacier and on the other side is the ocean. This waterfall is one of Iceland‘s main attractions. It is located on the Hvítá River and consisted of two falls at 90 degree angles to each other. It has a total height of 32 meters and considered one of the most unique waterfalls in the world. The Gullfoss waterfall is part of the Golden Circle. Located in northern Iceland, Myvatn is a very shallow lake in an active volcanic area. The lake was created by a large lava eruption over 2,000 years ago. The lake is famous for its wildlife, and the volcano surrounding it. of birds, including puffins, northern gannets,guillemots and razorbills. It is vital for their survival as it hosts up to 40% of the world population for some species. It is Europe’s largest bird cliff, 14 km long and up to 440 meters high. Icelanders are privileged when it comes to the Northern Lights. They are visible for eight months a year, from early September to the end of April and in any of these months, you are likely to see some aurora activity. It looks like there are lights dancing in the sky. 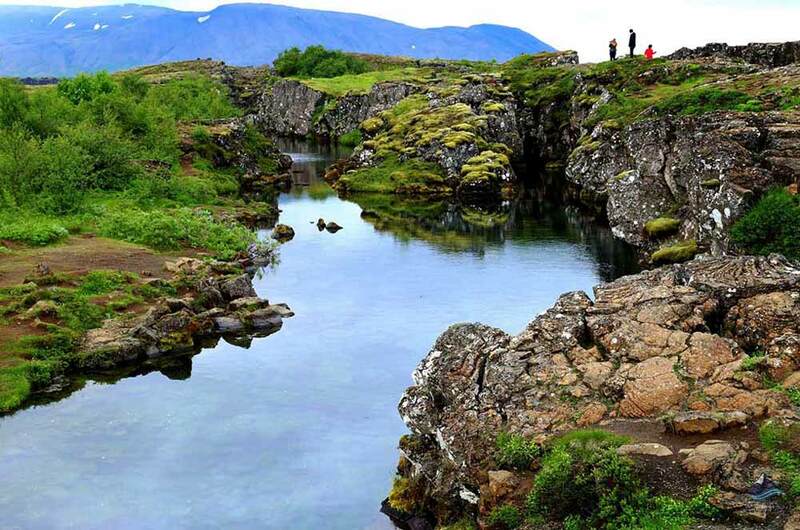 Well if you want to go to Iceland, these are some places you should go to. Iceland is such a beautiful place. I hope this helped! See ya next time!